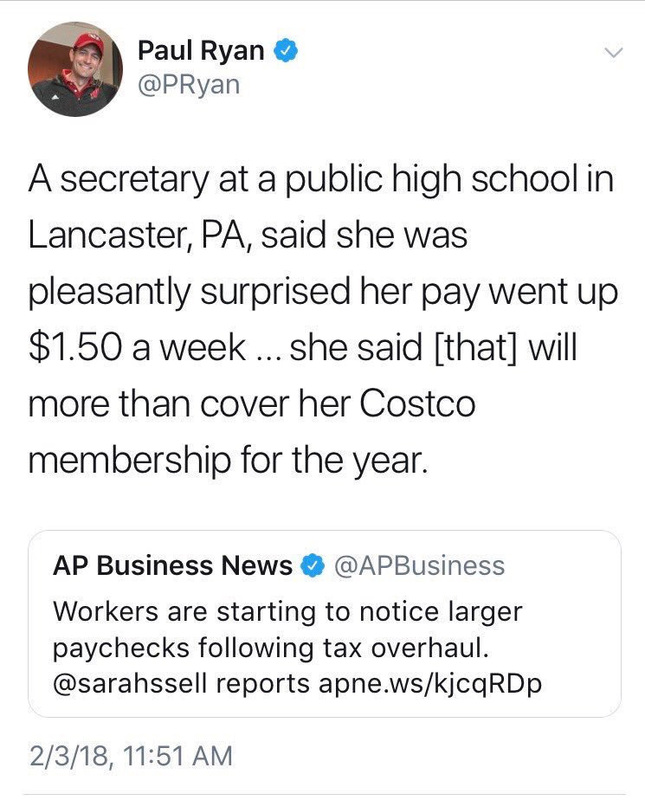 Paul Ryan Is Freaking Bragging About $1.50 - Are You Kidding Me?! 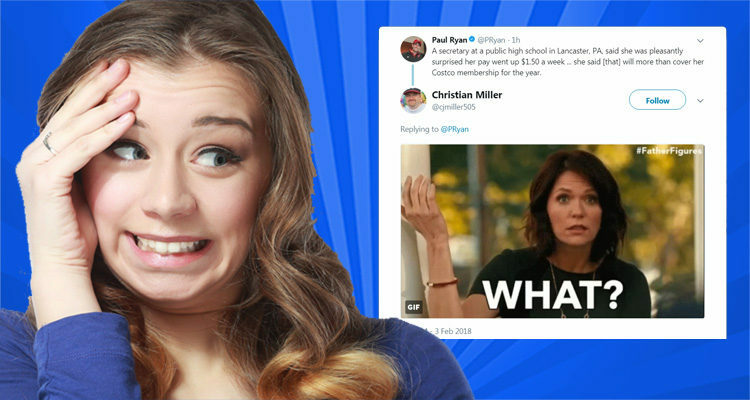 Paul Ryan Is Freaking Bragging About $1.50 – Are You Kidding Me?! Paul Ryan appears to have lost his mind, taking time out to tweet about $1.50. Paul Ryan took to his Twitter account on Saturday to gloat about the success of the Republican tax plan. The contentious tax overhaul is beginning to deliver a change that many will welcome — bigger paychecks. Treasury Secretary Steven Mnuchin has estimated that the new rules will mean more take-home pay for about 90 percent of American workers. Now, I don’t really know which planet Paul Ryan comes from; but on the planet where he dwells at the moment, a $1.50 raise per week is more likely to bring tears of sorrow than ones of the kind of joy that Ryan seems to be experiencing.